The Superguide 88 is an ultra lightweight Touring/Freeride Ski that is comfortable both on and off-piste. 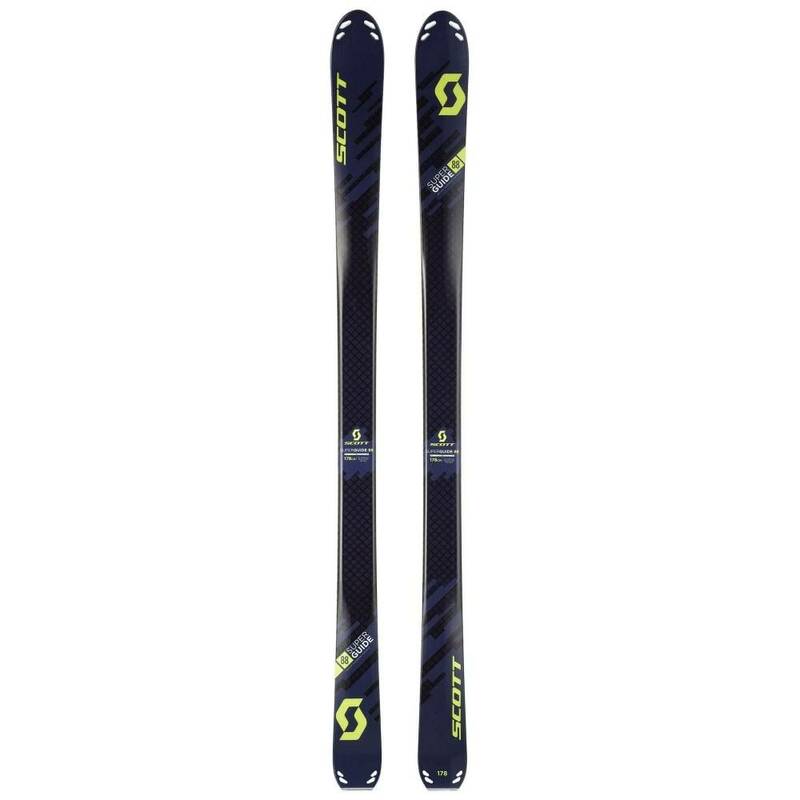 Whilst specifically aimed at the touring and hike and ride sectors the skis are amazingly competent all over the mountain and have a surprisingly solid edge grip when carving or tracking on firm frozen snow. The lightweight tip section is fitted with a customised fixing system for climbing skins which we also stock in their appropriate pre-cut sizes. The 88 is most at home where the expectation of bottomless powder is minimal and where a good solid edge grip and faster edge to edge speed is going to make for safer skiing. On test those of us who skied them were impressed with both their ease of skiing and their very high performance levels, if you can imagine The Ski meets Rock'Air meets Mission then you will have a clear idea as to where these skis sit; great fun and highlty recommended.